As owner of Salon Capricci, and full-time hair stylist, Natalie works hard to raise the standard of the beauty industry for every client that walks through our doors. Natalie has been a professional hair stylist for over 10 years, starting out her career working part time in Salon Capricci, Natalie has grown to become a master stylist. Some of her training includes Schwarzkopf, Moroccanoil, Bio Ionic Permanent Retexturing System and Semi-Permanent Smoothing System. She is also a certified Pure Hair Extension Technician. She continues to invest her time and energy into her advanced education and keeps herself, as well as her staff, updated on anything that will benefit Salon Capricci clients and their beauty needs. Call (905) 471-3006 to book your appointment with Natalie today! Jessica has experience of over 20 years in the salon industry. She has a fabulous passion for coloring and cutting, and enjoys creating signature looks. Some of her training includes Schwarzkopf, Voila, Wella, Aveda, Bio-Ionic and Moroccanoil. She is a certified Pure Hair Extension Technician and Certified Chemical Straightening Technician. As a past color educator for Voila by Revlon, Jessica continues to enrich her knowledge by participating in as much education as possible. Whether it’s a color change, color correction; blonde, brunette, or redhead; long or short, bold, subtle, or somewhere in between, she does it all! She is very passionate about her career, thrives on giving her guests the best salon experience and results that can boost your current look or completely redefine your style. Call (905) 471-3006 to book your appointment with Jessica today! What started out as a hobby for Myra at the age of 13, became a deep and heart-felt passion that will forever be a part of who she is. 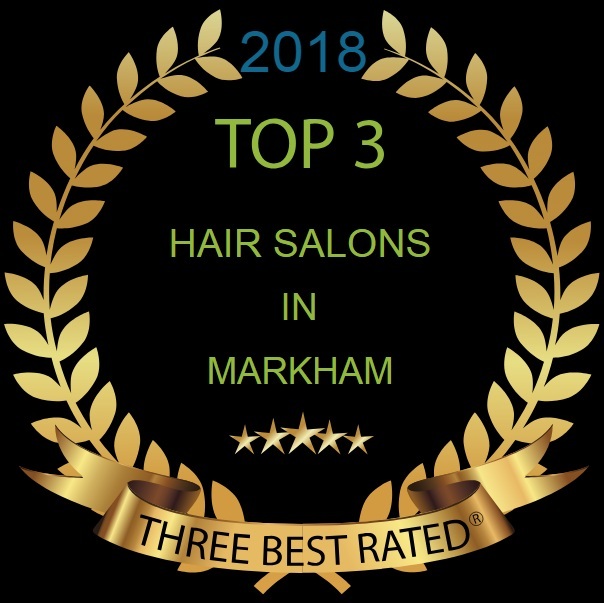 Myra has been in the hair industry professionally for 10 years and has worked within reputable salons in the GTA. Myra specializes in all methods of hair extensions, but particularly hot fusions and micro/Euro Locs. She is very versatile and can also do all chemical and technical services on any hair type and texture including coarse and super curly hair (customized cutting, colour services, formal/wedding styling, Keratin smoothing treatments, relaxers & perms) When you sit in Myra’s chair, no matter what service you are looking for, rest assured that she will deliver consistent and amazing results that will absolutely exceed your expectations. Call (905) 471-3006 or (647) 534-4141 to book your appointment with Myra today! Stacy is the newest talent added to the Salon Capricci team. A graduate of The Hair Company Academy in Newmarket she’s always interested in learning and updating her skills, attending classes at the Schwarzkopf Academy in Toronto, Behind The Chair and CosmoProf. Stacy’s been an artist since childhood which has led her to the field of hairdressing. She enjoys hair colour, balayage, colour melting, creating sharp precise haircuts, braiding and updo’s. Stacy will help you to achieve the look you want. She is very friendly and loves working with people and making them feel their most beautiful. Call (905) 471-3006 to book your appointment with Stacy today!